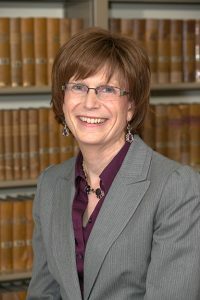 Ms. Vosicky’s practice focuses on business, contract, real estate and construction matters, with a concentration in litigating disputes arising in these areas. Because of the breadth and depth of her practice, she provides her clients with experience and with sound representation in dispute resolution settings. She represents clients in the sale and purchase of businesses and handles the dissolution of businesses, including complex dissolution litigation. Additionally, Ms. Vosicky serves clients in the sale and purchase of commercial and residential real estate, and counsels them on title issues. She advocates her clients’ interests in actions for specific performance, quieting title, easement disputes, condemnation, commercial and real estate foreclosure, real estate tax deeds and tax objections. Her experience with commercial and residential leases includes the negotiation and drafting of leases and the interpretation of existing lease provisions, as well as actions for forcible entry and detainer, enforcement of lease covenants and money damages. She has provided counsel relating to, and has litigated disputes regarding, private and public mechnics lien claims, mechanics lien foreclosures, claims for extras, complex disputes regarding defects in commercial and residential construction work and challenges to the validity of bids on a public project. Ms. Vosicky’s experience with secured financing includes the drafting of notes, security agreements and related documentation, as well as the representation of clients regarding the interpretation and enforcement of various loan documents. She has also handled a variety of contract clarification issues, including the analysis of corporate and association by-laws, HMO/provider contracts, fire and liability policies and contracts relating to the sale of goods and services. Her litigation practice extends to both state and federal trial and appellate courts. In chancery courts, she has litigated injunctions, accounting actions, the enforcement of restrictive covenants and suits seeking other equitable remedies. In addition, she has handled actions relating to fraud, consumer fraud, fraudulent transfers, probate matters, civil rights, defamation, missing persons, the termination of hospital privileges, and creditor/bankruptcy issues, accounting actions, and partnership and corporate dissolution actions.